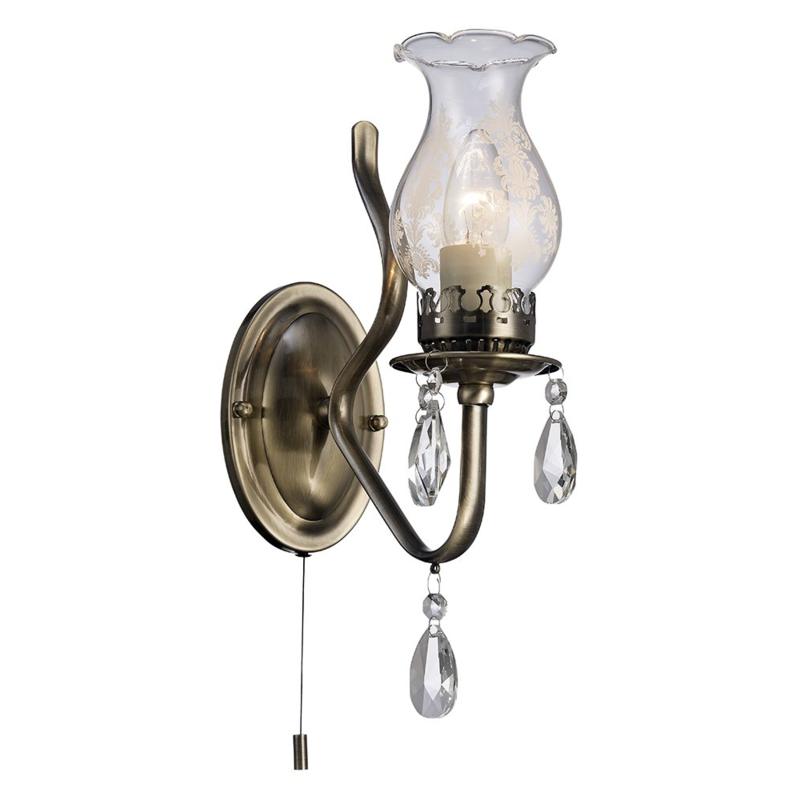 Traditionally styled wall light fitting in antique brass with crystal glass droplets. 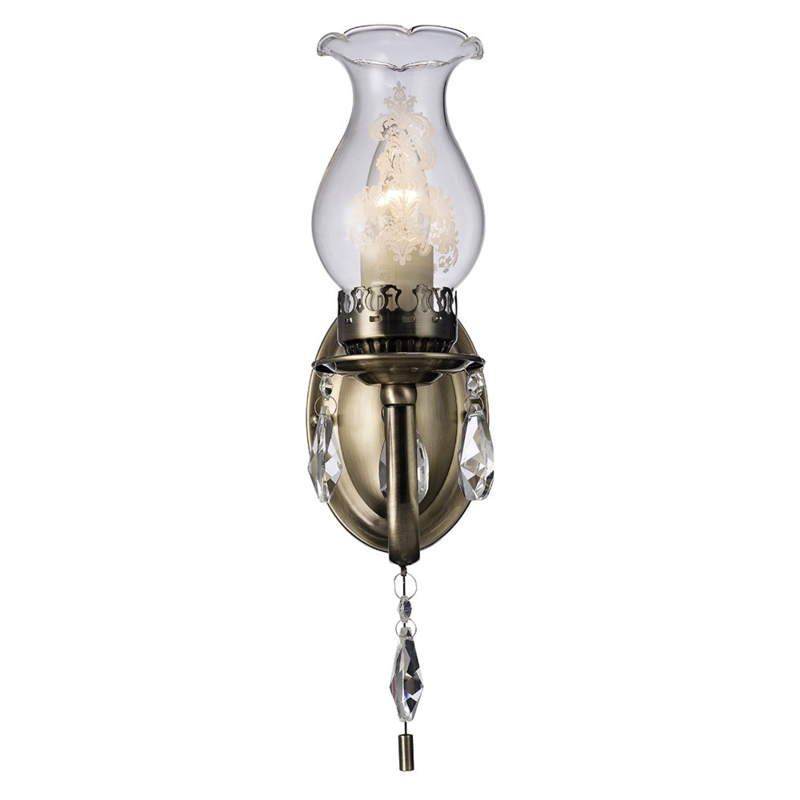 Includes transparent glass cover with floral decoration - easy to remove for replacing bulbs. Dimensions: Height - 35cm, Projection - 22cm, Width - 10cm. Requires 1 x maximum 60watt ES candle bulb (not included). Low energy and LED bulbs may be used if desired. Features on/off pull switch button.